On Dec. 1, 1812, two women, Theresa Carrico and Elizabeth Wells, moved into a log house at St. Thomas Farm, near Bardstown, Kentucky, to initiate a religious community of women who would educate frontier children and serve the sick poor and orphaned children. They were joined on Jan. 21, 1813, by Catherine Spalding, and before June, by three more. With six members, their co-founder, Rev. John Baptist David, SS, declared the community large enough to elect its first leader. The Sisters elected Catherine Spalding, 19 years old, intelligent, perceptive, highly motivated by the community’s purpose, a natural leader. For the rest of her life, until 1858, she would initiate the Sisters’ main ministries, education, health care, and social service. She would lead the establishment in Louisville, Kentucky, of the first school for girls, the first infirmary for the general population, and the first homes for orphaned, abandoned, or homeless children. 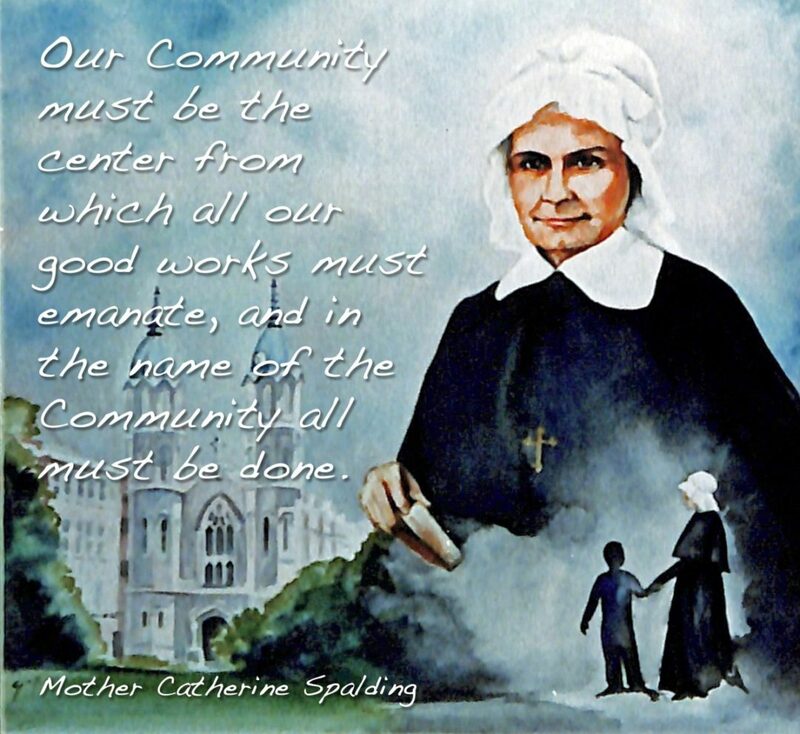 The Sisters of Charity of Nazareth have carried Catherine’s spirit and legacy of service around the United States and to four other nations. Sisters and their Associates celebrate Dec. 1, annually as Foundation Day with joy and gratitude.